As we all know that WhatsApp is the most famous instant messaging service around the world. Now WhatsApp is owned by Facebook. 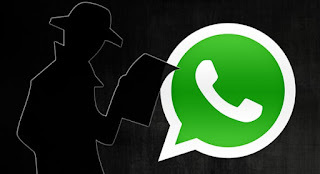 We are the most popular WhatsApp hacking service around the world. HackingChat offers all its service for free always. Now we are offering a 100% secure and genuine WhatsApp Sniffer Tool. All you need is an active internet connection for it. Over these few years, it has won over millions of hearts. Each and every person using a smartphone will surely be active on WhatsApp. WhatsApp has changed the messaging service of the digital generation. NOTE: This Article Is Just For The Educational Purpose Only, We Are Not Responsible For Any Damage. If you are a new comer, then you must know about this. If you don’t know about what is sniffing, then you no need to worry we are here to help you on this topic. Sniffing is an act with we can smell things around us. If we talk this in technical word then sniffing is an act with this we can get the data of our nearby device anonymously on our Device if we are connected to the same wireless networks like wi-fi and all. To bring to your notice this app works in Android and iOS. The process of using this app is very simple. All you need is the WhatsApp Sniffer apk download android app and run in it the same wifi network of the device you want to spy. WhatsApp Sniffer is a tool that captures all WhatsApp conversation, photos, videos and all other documents. This tool requires that we need to connect to the same wi-fi network. If you and your Victim attached to a different wi-fi network then, this Sniffing tool would not work for you as our nose don’t work for the Long distance. Click on the apk download file to install it. Connect to same Wi-Fi Network. Open the app after you have installed it successfully and start spying the conversations near to you.